We are proud to announce The North Bank Bridge Park has received the 2017 Excellence Award in Design from the Boston Society of Landscape Architects. 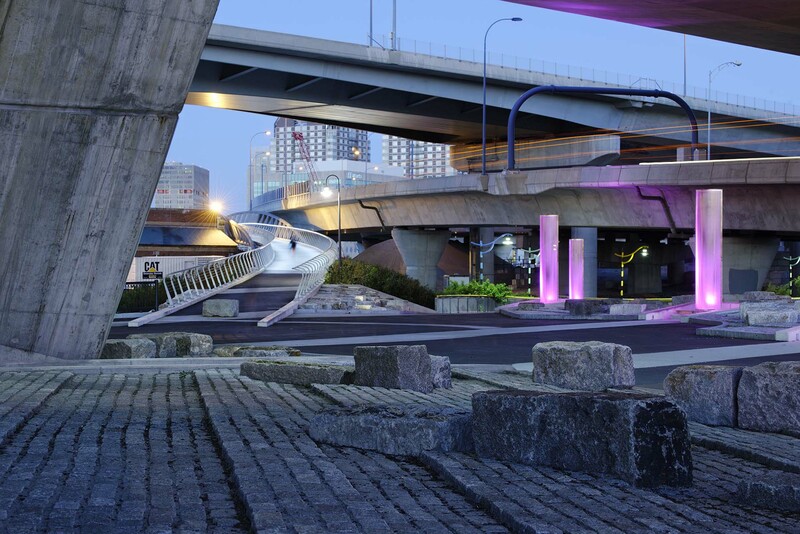 The North Bank Bridge Park project reclaims a derelict underbridge space overwhelmed by vestigial industry, highway ramps, and the looming Zakim Bridge and transforms it into a safe, vibrant, welcoming, aesthetically pleasing and fun Underbridge Plaza that gently tames its gritty urban character while still honoring it. It is the last park built within the New Charles River Basin, a formerly inaccessible portion of the Charles River on both the north and south banks, referred to as “The Lost Half Mile.” The North Bank Bridge Park created the first river-edge connection between the Charles River and the Boston Harbor, finally fulfilling a century-old vision of Charles Eliot. 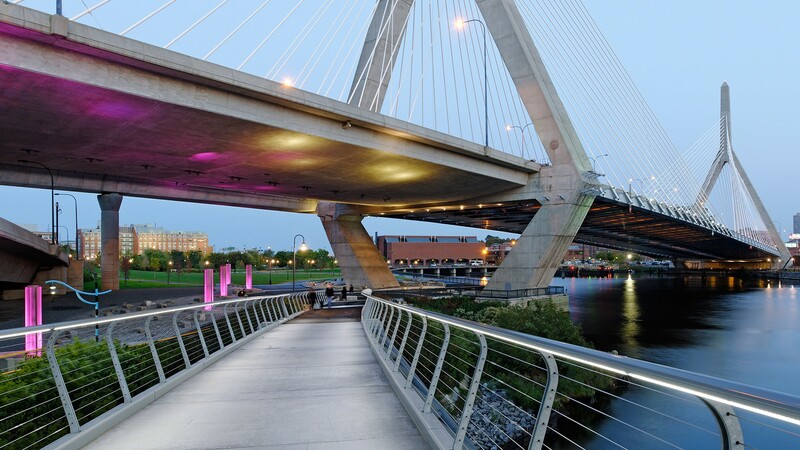 The planning and design for the North Bank Bridge Park, which took nearly a decade, was guided by the overriding conviction that the public would one day be thrilled to come into this new realm, to see the city from a new vantage point and to appreciate the unique experience of being “up close” with the colossal Zakim Bridge structure. We are honored for this recognition and send our congratulations to all of this year’s winners; we greatly enjoyed viewing all of these outstanding projects. We appreciate the expertise the BSLA, the jury, and the design community put forth to continue to elevate and recognize outstanding landscape architecture and design. Thank you to the other members of this joint venture who worked with us to realize this project: Ammann & Whitney (now Louis Berger), Greenman-Pedersen, Inc. and Stantec.